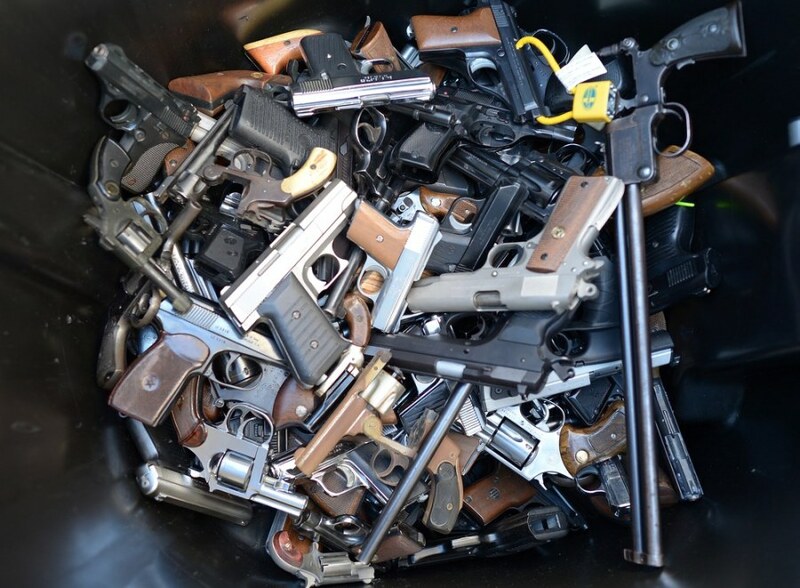 A trash bin full of handguns collected during the LAPD Gun Buyback Program event in the Van Nuys area, north of downtown Los Angeles, on Wednesday, Dec. 26. 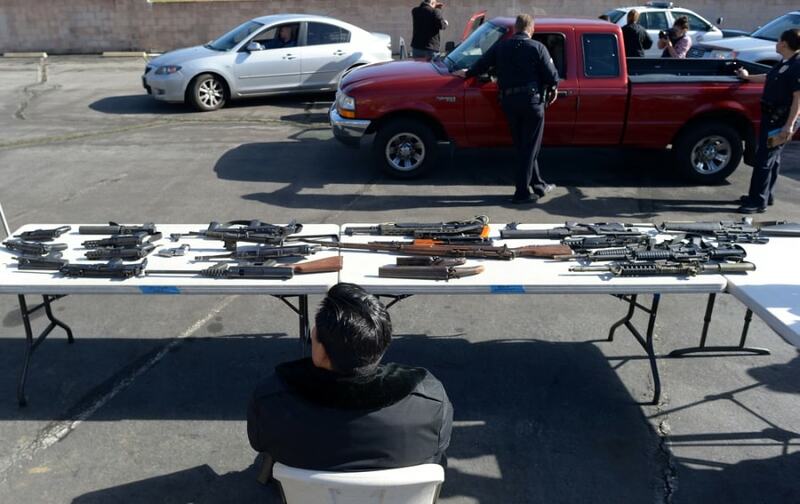 By noon LAPD had collected more then 420 handguns, rifles and shotguns. 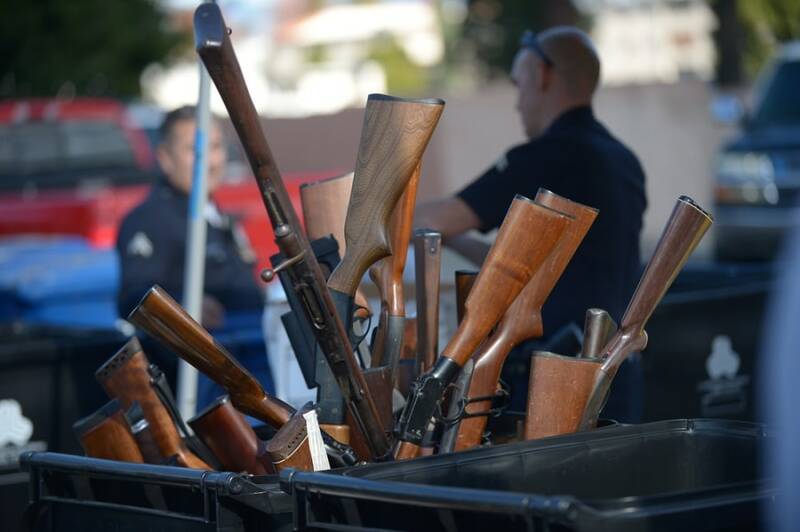 Rifles stick out of a trash bin collected during the LAPD Gun Buyback Program event in the Van Nuys area, north of downtown Los Angeles. Cars come and go to bring guns during the LAPD Gun Buyback Program event in the Van Nuys area of Los Angeles. For context about the number of guns in America, see this story by NBC's Tom Curry.